Recently, I was given the opportunity to serve as the new director of the Office of Administrative Services. Within that branch of the organization resides the Department’s reserve program. First off, I’d like to acknowledge Assistant Chief Sandy Jo MacArthur’s service as the outgoing director. She retires with over 35 years on the job and was a tireless supporter of our volunteer and reserve programs. As your new director, I’m looking forward to the opportunity to continue to support and improve upon the mission and good works of the Reserve Officer and Volunteer Coordination Section, and you all. At the recent Twice a Citizen banquet, I was again reminded of your level of professionalism, commitment and truly humbling sense of civic duty. Balancing your responsibilities to work and family with your commitment to the City as a reserve officer is honorable, and no doubt challenging. You help make a difference in that equation. As such, the success of the reserve program is vitally important to me, to the Chief of Police and to our Board of Police Commissioners. I’m committed to building on your successes and working to constantly improve the program. To that end, I invite your input and comments, acknowledging not only what we do well but, more importantly, where we can improve. This is an exciting time in policing. The convergence of technology and social media has highlighted what we do like never before. Media stories that focus on police behavior have flooded the airwaves. As evidenced by high-profile events in Ferguson, New York City and Baltimore, our continued professional conduct will be key to maintaining the community trust that we’ve fought so hard to obtain. What you do matters. The critical spotlight is even more important for reserve officers. 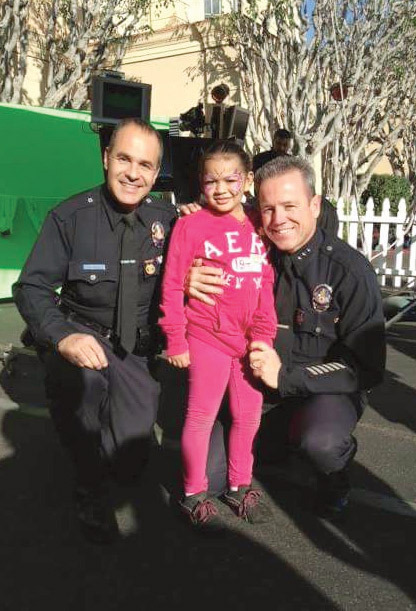 When you don the LAPD uniform, pin on the badge and work a community event, patrol a crime hotspot or stand in a skirmish line, the citizens you impact don’t see you as a “reserve officer”; they see a Los Angeles police officer. We are truly the finest law enforcement organization in the nation, and the professionalism and character of our reserve officers has contributed to that legacy. I look forward to navigating these challenging new times with you, supporting your extraordinary work and taking the reserve program to the next level.